Paolo Rustichelli (born 1953 in Rome) is an eclectic smooth jazz, rock-jazz and progressive rock composer, pianist and producer, son of Oscar nominee Carlo Rustichelli . Pioneering the use of the monophonic synthesizer ( ARP 2600 ) and a mellotron for a movie soundtrack, Paolo composed the musical scores of numerous films since the early 1970s. Son of the three-time Oscar nominee and most prolific composer for movies Carlo Rustichelli, the eclectic Paolo studied composition and orchestra conducting at Accademia Chigiana, as well as classical piano studies. 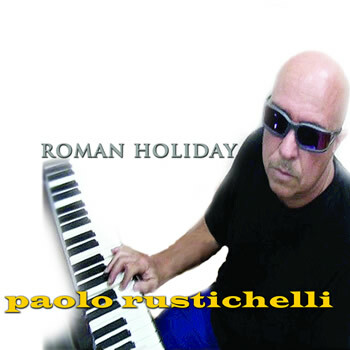 Critically-acclaimed, eclectic music composer, plug-in and piano virtuoso, the extraordinary Paolo Rustichelli, blends Smooth Jazz & Latin Dance with his latest single, “Roman Holiday.” This Mediterranean-fresh tune is energetic and irresistible! It’s the 3rd single from the soon-to-be-released album SOUL ITALIANO. Son of three-time Oscar nominee and movie soundtrack composer, Carlo Rustichelli, Paolo started his career at 16 years of age. He’s become one of the most influential composers in Smooth Jazz and Chill Out music in the world! His song “Capri” featuring Miles Davis, was remixed by a UK DJ in the early 90’s and earned a place as one of the first songs in the House music movement. Paolo is globally renown for his pioneer work in fusing rock and jazz and producing for and recording with Santana, Miles, Herbie Hancock, Andy Summers and many others. Carlos Santana said in an interview with Billboard, "Paolo Rustichelli's music is a soundtrack for life!" Agreed! Smooth Jazz Radio is available streamed over the Internet. Go to the site then click on "Listen Now" and you've got some nice background music as you multitask through your workday.